With the recent additions of MVP LeBron James and perennial All-Star Chris Bosh to the roster of the 2006 NBA Champion Miami HEAT (that already boasts Dwayne Wade), expectations for the Miami HEAT for the next season are at an all-time high. In preparation for the upcoming season, the team and AmericanAirlines Arena sought to enhance their overall brand and fan experience by bringing the arena’s flat panel displays up to cutting-edge high-definition standards. The challenge was finding a signal delivery solution to insure the transmission of high definition 1080p content without degradation to various displays located at substantial distances from the control room. The Miami HEAT identified and procured the solutions needed to update the signage system through its partnerships with Sony Systems and Magenta Research. With this new upgrade, the HEAT is now considered as a ‘best-practice franchise leader’ with its highdef changeovers serving as a benchmark for other arenas across the country that are looking to follow suit and convert their existing audiovisual delivery and presentation infrastructures. One of the major areas to be reworked was the Bacardi Grand Entrance, the main arena entrance. Upon entering the Bacardi Grand entrance fans are greeted with large, 12 display video walls that add to their excitement. 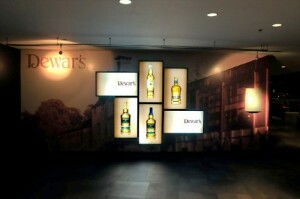 The Dewar’s Suite Level is another area that takes fan enhancement and rebranding to the next level. The display screens in this area highlight the Dewar’s brand using interesting video configurations. The new equipment includes Sony’s Zirus software and award-winning displays, which provide content to resolutions beyond 1080p, as well as searing images for large video wall installations. An integral part of the total solution was Magenta Research’s MultiView Series transmitters and receivers, MultiView XRTx and AK600. Magenta Research’s MultiView Series high-definition video extension technology enables high-definition audiovisual signals to travel distances of 2,000 feet without degradation of quality or introduction of delay. The distance capability combined with zero-latency delivery makes the MultiView system the best choice for video wall deployments. Magenta Research’s products are used to integrate video and audio into casinos, theme parks, arenas, airports, museums, corporations, universities, hospitals and boardrooms. 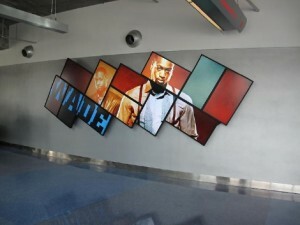 This entry was posted on Monday, August 16th, 2010 at 11:59 @541 and is filed under DailyDOOH Update. You can follow any responses to this entry through the RSS 2.0 feed. You can leave a response, or trackback from your own site.